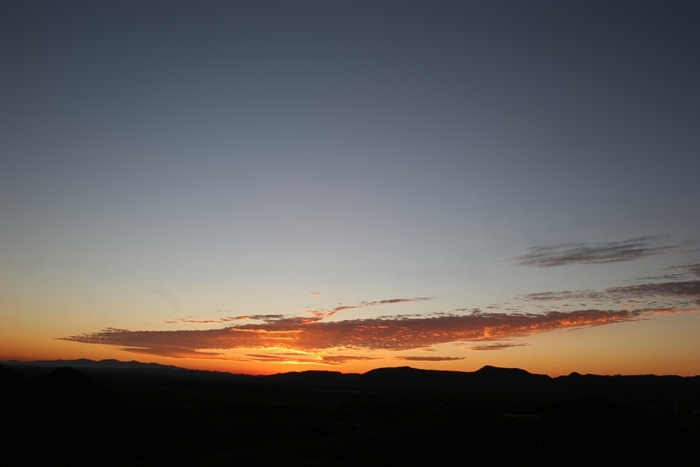 This 5 slide sequence shows a sunset seen from New River, Arizona last December. 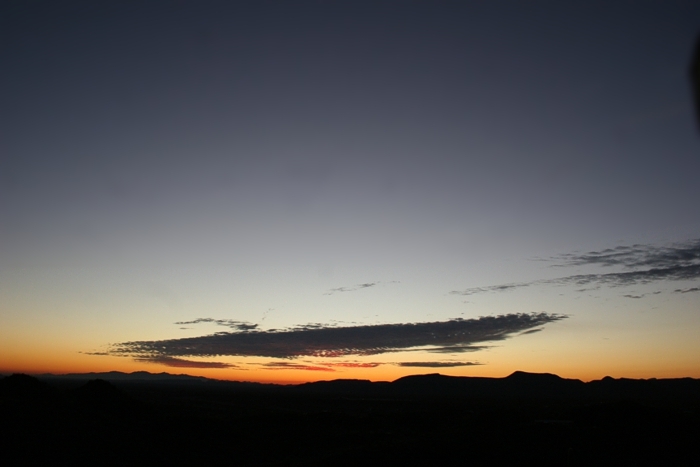 In slide 3 (17:37 pm), you can see a “needle” of yellow light extending vertically from the western horizon. Slide 4 is a close-up of that apparition. 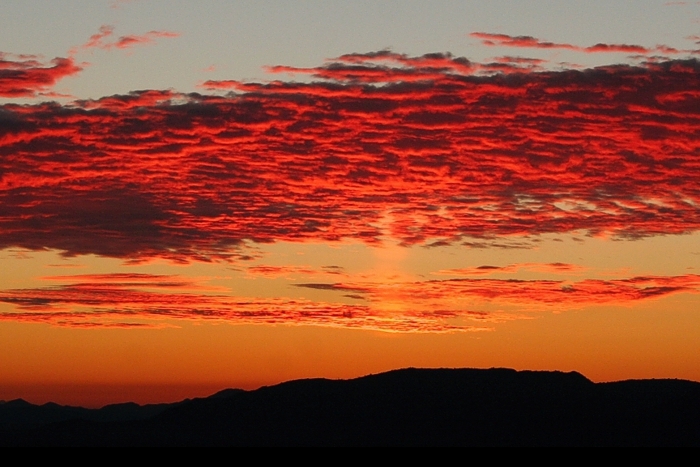 This is what’s known as a sun pillar, a phenomenon I discussed in my March 1, 2007 post. It’s not the best sun pillar I’ve seen, and it appeared only briefly, but it was accompanied by a beautiful sunset I thought was worth sharing. 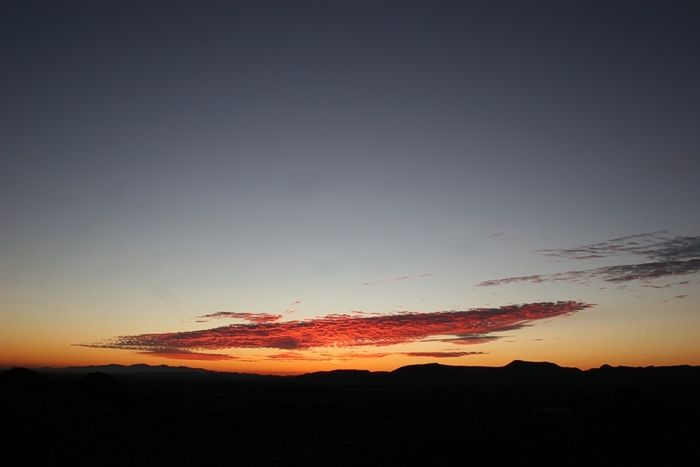 The evolution of the sunset is striking, as the cloud colors change from orange to red to dark blue. None of the images were enhanced. 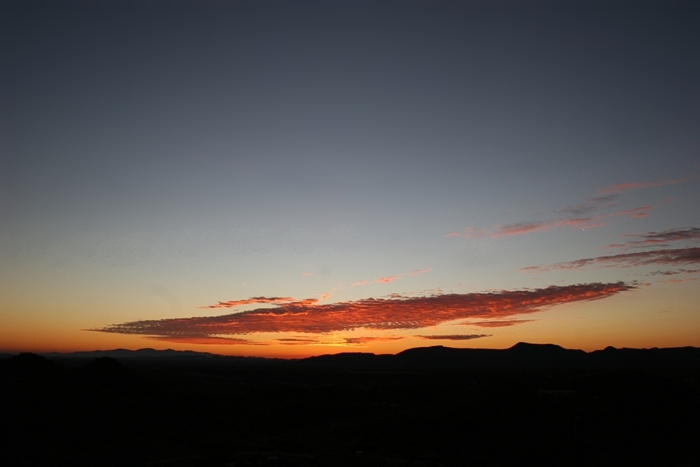 However, my Canon EOS 20D is more sensitive to the longer reddish wavelengths. 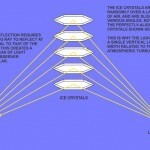 At this time of year ice crystals are often present in the atmosphere. They can form in several shapes: delicately branched snowflakes, hexagonal plates or rods, and amorphous spheres (hail). Atmospheric conditions will determine the geometry. Sun pillars need hexagonal plates, which aren’t all that rare. 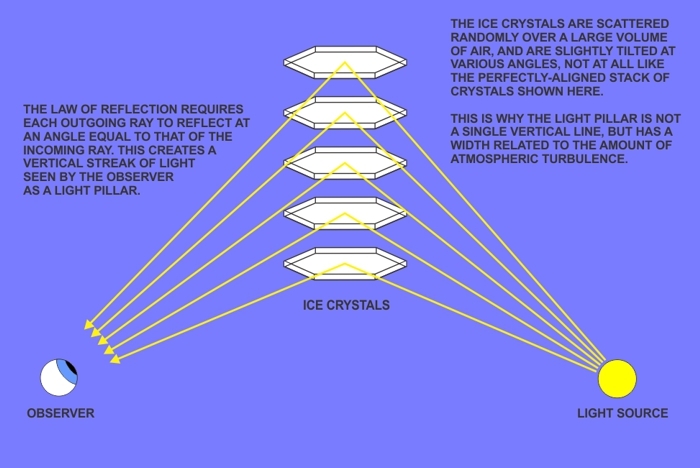 But for a sun pillar to be seen: ∠SUN-CRYSTALS-OBSERVER has to be in the range of 100°-200° (as it is after sunset). Click on the thumbnail below to see the geometry. The more general phenomenon of light pillars, sometimes seen hovering above bright urban lights, is also caused by hexagonal plates. Interestingly, you can see the same effect through doors or windows with louvered blinds, but you’ll need to provide your own point source of light. 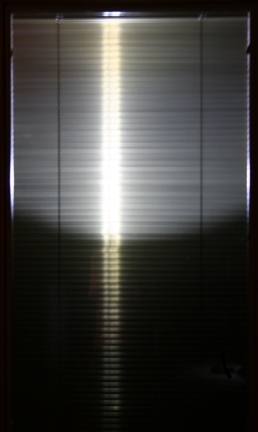 I used a flashlight to create a “light pillar” in our front door. Click on the thumbnail below to see the result. 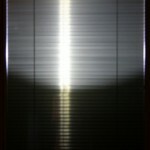 If you have louvers in your doors or windows, you may have noticed this effect. You might wonder why these hexagonal plates are oriented more-or-less horizontally, rather than randomly. Surprisingly, for crystals held aloft by updrafts, or falling through relatively calm air, this is indeed a stable configuration. Try dropping some horizontally-held playing cards, and you’ll see what I mean.